Doha, March 03, 2012: Qatar’s world-class development companies will take centre stage at a unique national pavilion at MIPIM, world’s largest real estate development event, as the country reinforces its position as a global leader in urban planning, construction and sustainable development. The Qatar Pavilion, organised by and Msheireb Properties, Qatari Diar and Lusail Real Estate Development Company, will also be the venue for the inaugural Qatar Urban Forum, a new platform that aims to address the most pressing issues surrounding urban development and demonstrate Qatar’s commitment to establishing itself as a thought leader in sustainable development. The three companies are amongst the biggest in the region, with Qatari Diar currently planning/ developing 49 projects in 29 countries. The companies’ combined portfolio amounts to a total value over US$40 billion. The joint participation is driven by the shared role of the companies towards the realisation of Qatar’s National Vision 2030 and the country’s common approach towards the adoption of sustainable development and preservation of urban identity. 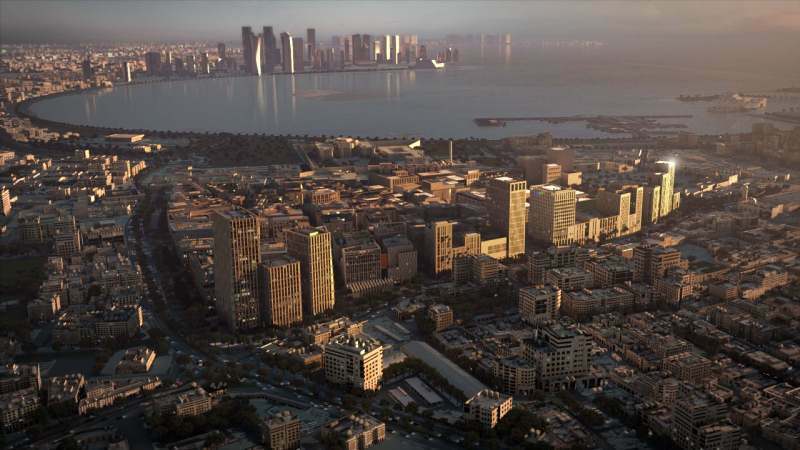 Knowledge sharing was also the inspiration for the Qatar Urban Forum, which will encourage dialogue among an international community of experts, and business leaders directly connected with the cause of progressive, sustainable urban development. The chosen theme for the Qatar Urban Forum will be ‘Sustainable Architecture and Urban Development’ which aims to provide a platform to examine and discuss solution-oriented methods for implementing sustainable development and urbanism. The discussions will encourage and stimulate more ideas and useful insights regarding architecture and urban development within the context of sustainability. The Forum will focus on the phenomena of increasing contradictions between the ‘modernisation’ of regions on the one hand and the cultural identity of these places; and intends to use this proposition as a point of departure to explore and examine the various discourses regarding regionalism, globalization and their impact on the built environment. Questions to be asked and issues to be considered include: regional architecture and how it is being (re)defined, interaction(s) between the regional and the global and the intersection between the past and the contemporary. Invited speakers include the British architect Lord Rogers, famous for modernist-style work such as the Pompidou Centre in Paris and who has devoted much of his later career to wider issues surrounding architecture, urbanism, sustainability and the ways that cities are used; Angela Brady, President of RIBA; Ken Yeang, best known for advancing green design; and the renowned Italian architect Massimiliano Fuksas. Representing Qatar will be Eng. Issa M. Al Mohannadi, CEO-Msheireb Properties; Dr. Yousef Al Horr and Mohammed Ali Abdulla. The Qatar Pavilion will be located at the main entrance of the Palais des Festivals. Only London, Paris and Germany have hosted similar pavilions in the past. MIPIM, taking place from March 6-9, is a unique exhibition and conference dedicated to the real estate sector. It brings together real estate leaders to explore the most innovative urban projects, forge partnerships, strike deals and evaluate cost-effective schemes.